https://top100project.files.wordpress.com/2018/09/red-river.mp3 Rated R, but our bad language is actually quite mild this time. Tear off your hat and shout “YEEHAW” for the Next 120 Project, an episode which could be subtitled “The Wrath Of Tom”. Maybe he has so much wrath because of all the impossible-to-miss homosexual undertones, which Howard Hawks denied even existed…but he did cast Montgomery Clift, so. 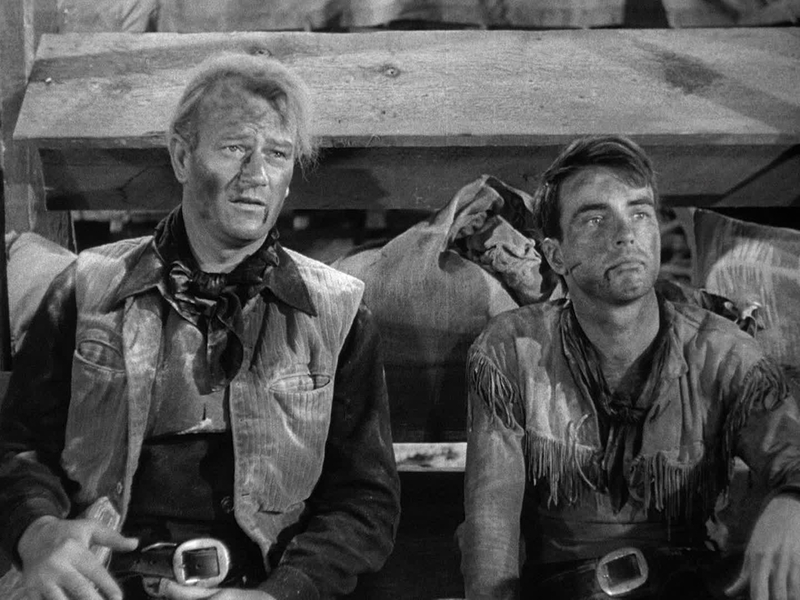 Bev didn’t love John Wayne’s career-changing work the way many others did and we both had problems with the craptastic ending (like everyone does), but most of this long ride is a blast. Those westerns. They keep on being home runs. To enjoy much better coffee than what the characters in the flick drink, go to Sparkplug Coffee and tell ’em “top100project” sent ya. That’s your one-time promo code that’ll lasso you 10% off. For The Record: Clift was nominated for Best Actor in The Search the same year Red River was released. Also, Clift was about 26 when they shot the flick. Burt Lancaster is about 7 years older than his From Here To Eternity co-star.